Home > Blog> Blog>Shopping at an Online Hobby Store: Everybody Needs a Hobby! Shopping at an Online Hobby Store: Everybody Needs a Hobby! Most people enjoy having a hobby that keeps them busy in their spare time. Some people like to explore the bush and sleep outdoors. Other people may prefer to grow a garden full of vegetables and flowers, while there are some people who really love to build model cars or airplanes. There are also those who enjoy going to a beach with a metal detector to see what treasure they can find! No matter what the hobby is, anyone who is serious about their hobby may have a particular shop in their hometown that they will exclusively go to. With the rising cost of petrol though, it is becoming quite expensive to drive around and many people cannot afford to take those extra trips. There are some places that offer different aspects of shopping for your favourite activity through a laptop or computer. Different hobbies require different materials, and the hobbyist will be able to find particular items that they need with just a click of the mouse. 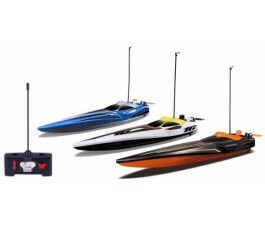 Through the Internet there are also shops that only offer items that are not found anywhere else but at a specialty shop, such as a more extensive line of models from an online RC hobby store. What people are beginning to realise is that shopping at a retailer through the Internet is the proverbial wave of the future. There are advantages other than a much better and wider selection of items. A hobbyist can also save a lot of money. Many stores offer discounts because the supplies that a person buys are usually in bulk, especially for things such as canvas if the person happens to love to paint for their hobby. Usually if a person buys items in bulk, the store can offer free shipping, or shipping that is hugely discounted. Because shipping can deliver your items right to your home, you are saving a lot of time and petrol. This gives you more time to enjoy your hobby. Any person that does something they love without getting paid for it but simply has an interest in it has a hobby. There are a lot of options that are offered through the Internet. Hobby shops online, like Mr Toys Toyworld, can offer the passionate amateur or even the serious hobbyist a great way to keep up their interests with exclusive online content, the option to buy bulk items and discounts, and free shipping to your home or office. Online hobby shops are also wonderful places to meet other people who share the same passion as you do. Meeting a person online that shares the same interests as you would be a great opportunity to talk about your favourite activities, exchange ideas, or even help one another if you are missing certain supplies. Anyone who has an interest really should look into what the Internet has to offer. They may find ways to make their favourite pastime even better and more fun!